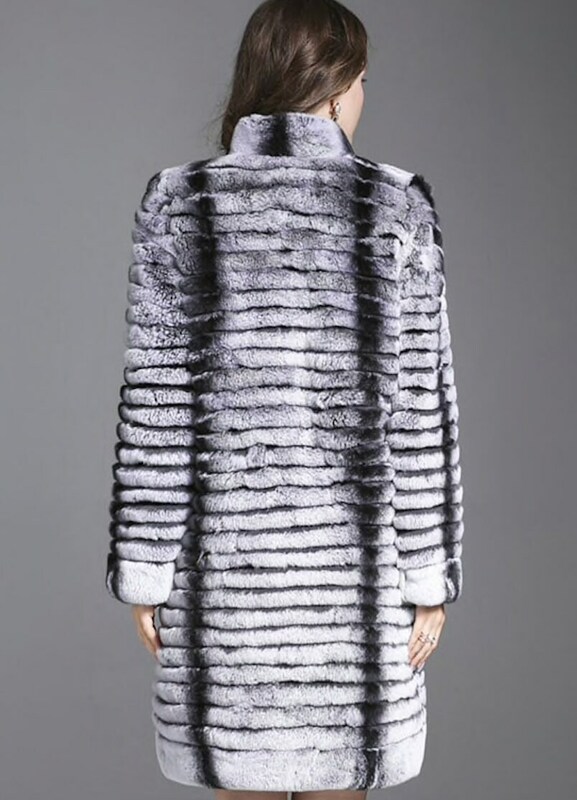 Absolutely stunning real rex rabbit fur, made to look like Chinchilla Print. So soft and luxurious. The jacket length is 90cm.